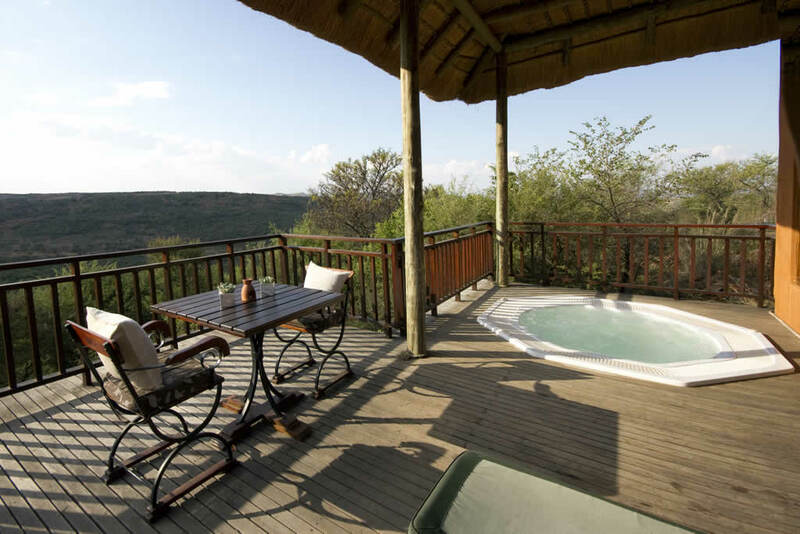 It’s a treat to have jacuzzi accommodation on safari, and a number of luxury safari lodges in South Africa offer guests the delight of private jacuzzi hot tubs at their suites. What better way to body-soothe and rejuvenate than this – between safari excursions on the Land Rover or on foot. 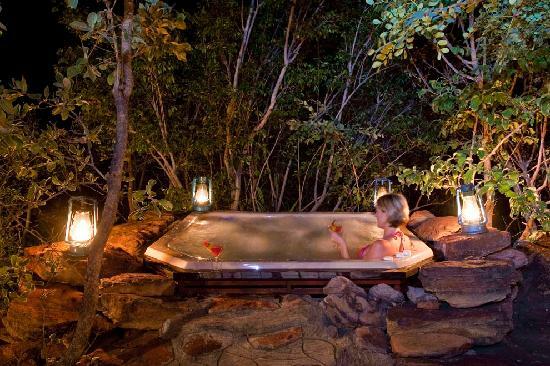 We offer you an appealing selection of spa-tub experiences on safari in South Africa. 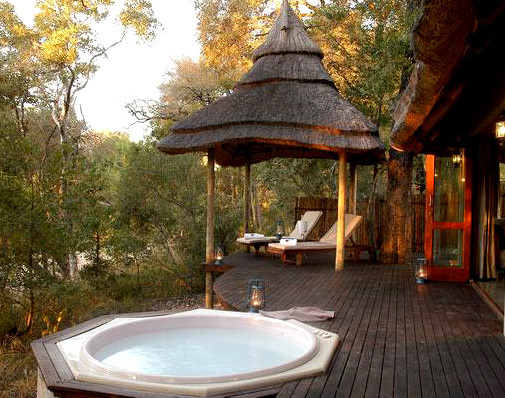 In the Entabeni Conservancy, you could have a jacuzzi jaunt at the Honeymoon Suite of Kingfisher Lodge. Its jacuzzi bath is positioned for chocolate-box-lid views of the Lake Entabeni. Mail us. Family Bungalow, the jacuzzi is set into a rock feature, making for an extraordinary warm-tub experience. Mail us. 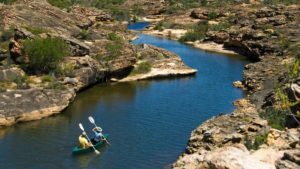 protected wilderness area forming part of the greater Kruger National Park. 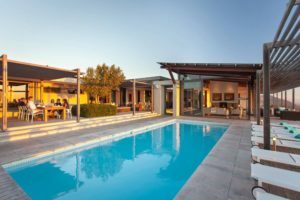 Pondoro’s suites – just five of them – have their own hot tubs set into a wooden deck that looks towards the Olifants River. The camp needs to be booked in its entirety – whether for a small wedding party or a couple wanting seclusion. Mail us. and a private deck with sunken jacuzzi. When it comes to having a long soak, you’ll be spoilt for choice. Mail us. earth-encounter. Dwyka is a tented camp, with just a handful of tents set very privately in a bend of a dry ravine. They are serene and inviting, with stunning bathrooms that look out onto private wooden decks with jacuzzis. Embraced by rocky ravinesides, these are idyllic private spaces to enjoy the warm invigoration of a jacuzzi-tub. Mail us. 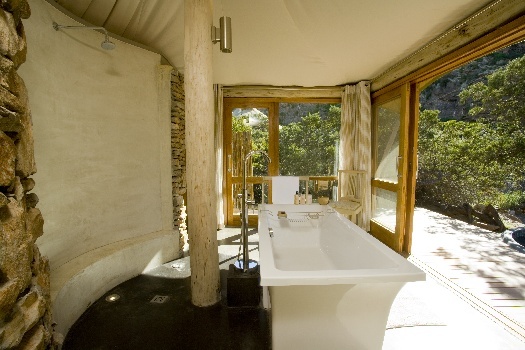 At Dwyka Tented Camp in the Western Cape, this stylish bathroom looks out onto a rocky landscape and a private jacuzzi-deck. Mail us to book your getaway in South Africa, or call +27 21 797-7122 (international) or 0860 102 907 (local).